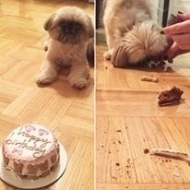 Puppies on the Prairie - BIRTHDAYS! This is the BIRTHDAY PAGE where I am sharing some very special PupTASTIC Birthday pictures from our past puppies!!! 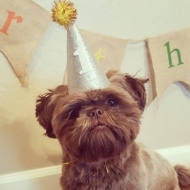 Tanuki is 10!! in Grand Forks ND! 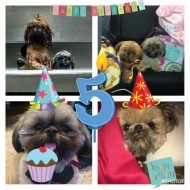 Lucy and Nemo are 5!! 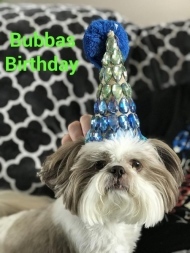 Bubba Alexander Benth is all decked out for his Birthday! Juliette's FIRST birthday party with her doggie friends! !